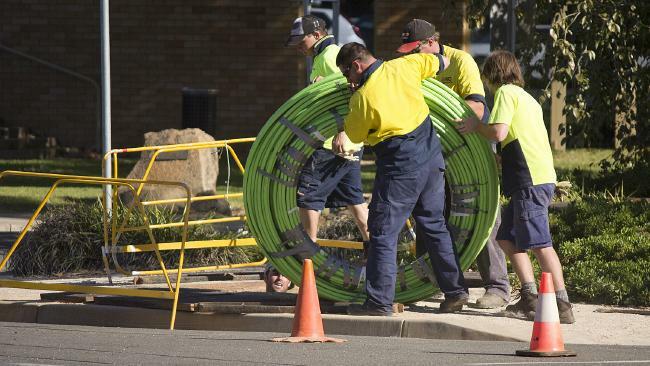 With so many homes around Australia still waiting for the National Broadband Network to finally pick up its work up and running on the premises still without access to the NBN, NBN Co is once again taking the easy way out. Currently, the NBN has classified homes that it has trouble connecting to as “service class zero” and those categories currently number over 63,000. In this week’s Senate Estimates Committee session, the NBN admitted that they plan on skipping service class zero homes in order to get more work done and still be on target for their 2020 vision of connecting every Australian homes to its network. While the logic has its merits, analysts are calling it as a substantial error in deployment strategy for the NBN whereas it prefers to get the work done easily without exerting effort or applied knowledge to its technique on deploying for coverage. According to the figures released by the NBN, over 77,760 homes in January to more than 145,000 homes were skipped for installation by the NBN. The states of New South Wales and Queensland have the highest installation skips 47,000 and 33,000. In spite of these glaring issues of NBN abandoning premises that they find troublesome to connect, NBN Co chief executive Bill Morrow still defended NBN’s actions. Morrow claimed that if the NBN prioritized the installation of these challenging areas, thousands of homes could get delayed as a consequence. “The reality is there’s nearly 12 million homes and they’re not all easy to connect,” Morrow was quoted in the Courier Mail. Some of the property types that the NBN skipped were property lots that were built without a phone copper line connection, houses far from the NBN cabinet service point and apartments that need either a new cable or copper wiring outfitted. Telecommunications consultant Paul Budde stated that the NBN choosing to forego these homes is a sign of poor strategy for their own part. “Every week there is another NBN horror story in a local paper. In order to avoid that they are saying ‘let’s not agitate the customers further and just push the problem away,” Budde was quoted by the Courier Mail. With the NBN is putting off hard work in favor of smooth sailing, eventually it will catch up to them at some point. Are you one of the home owners who are still waiting for the NBN? You can fight back by signing our petition or submitting your story.